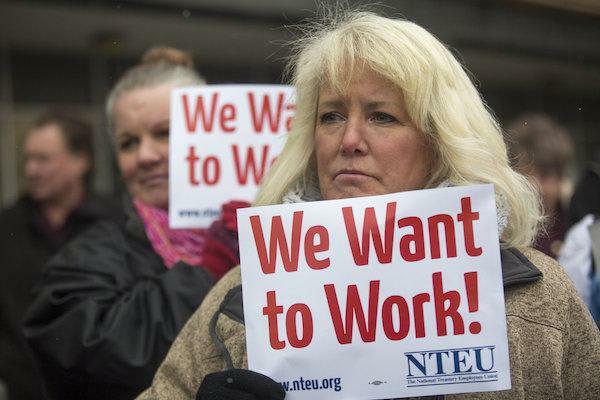 Do you agree that the government shutdown is "embarrassing for the country"? 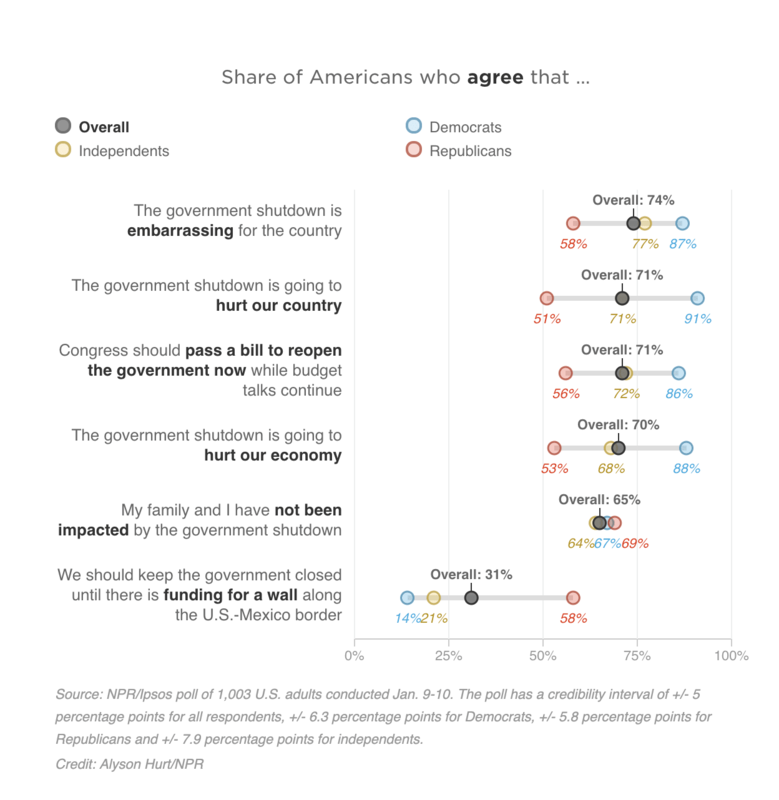 According to a new NPR / Ipsos poll, most Americans agree that the government shutdown is "embarrassing for the country." What do you think? Click above to take action and join the conversation. If no deal is struck by midnight Friday, this partial shutdown will be the longest ever. From late 1995 to early 1996, the government was shut down for 21 days. Friday is the 21st day of this current shutdown. Neither side appears ready to budge, and this polling and others make Democrats feel they have the upper hand. A Reuters/Ipsos poll out Tuesday found that 51 percent of Americans said Trump "deserves most of the blame," up 4 points from late December 2018 around when the shutdown began. A YouGov poll out this week found 50 percent also blamed Trump, also up 4 points from late December. Independents are not with the president on either of those critical points. By a 50-to-27 percent margin, independents said they disagreed that the president's speech convinced them of a need for a wall, and by a 45-to-32 percent margin, independents said the president's speech did not convince them of a crisis at the border. Fifty-three percent of independents said it's never OK to shut down the government, as did 50 percent of Democrats. Just 25 percent of Republicans, though, said the same. The survey was conducted by Ipsos from Jan. 9 to 10 with interviews of 1,003 adults online. It has a credibility interval of plus or minus 3.5 percentage points.